Last night, a high school friend and I met at the park for a play date, and our conversation soon turned to the subject of play. I was shocked to hear that her kids' school downsized recess to 10 short minutes a day. What in the world? Kids have a right to play, and they need breaks at school. I encouraged my friend to stand up for recess, and here's why. According to the Centers for Disease Control and Prevention, children need 60 minutes of physical activity daily. Recess help kids fulfill this healthy requirement, and it motivates them to move more before and after school, too! Ever wonder if your kids eat the healthy food you pack in their lunch boxes? Research shows that children who eat lunch after recess are more likely to chow down on fruits and vegetables. Why? Because they have worked up an appetite and are less likely to eat the junk food and toss their healthy food on the way out the door to play. That's good news as we encourage healthy eating habits and fight childhood obesity! When kids play, their existing brain cells are nourished and new ones grow. Play is also linked to improved problem-solving skills, better math grades, and increased language development. That's what I want for my girls and for your kids, too! I love to read, but after about 20 minutes, my mind starts to wander. If this happens to adults, how can we expect our kids to concentrate on school work without a break? Breaks improve concentration and focus, and that's why we have to stand up for recess! Kids don't have many opportunities to socialize during academic lessons, but almost every day, my girls share stories of how they compromise, make new friends, and negotiate during recess. This play time gives kids a great opportunity to build social skills as they have fun. Did you know that our brains work even when we're resting? Studies found that people remember things better when they take a break after they are presented with new material. Our kids remember things better, too, when they get recess breaks. Schools need to focus on academic achievement, and I definitely want my girls to learn when they go to school. However, kids also benefit from cultivating their imagination and creativity through play. With these skills, children think outside the box and problem-solve, essential skills that help them in all areas of life. Some schools take away recess as punishment for students who misbehave. I think this is a big mistake, and experts agree. A short 15-minute break improves student behavior, a positive for kids and teachers. I know school focuses on education, and I'm thankful for that. 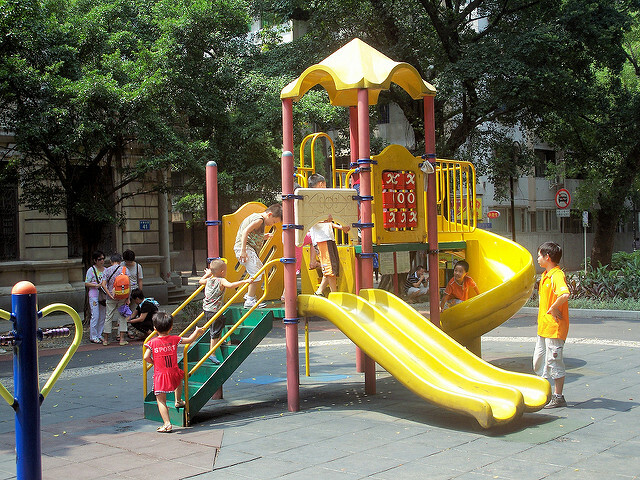 Childhood has to include moments of fun, though, and recess gives kids the perfect opportunity to frolic and relax. Recess is an important part of a child's school day. I'm grateful that my girls have the right to play, and I will continue to stand up for recess. Will you join me?